Fans of IWA Pro Wrestling already know that it’s body slamming, bone crunching, non stop sports entertainment. But there’s a lot more to IWA Pro Wrestling than just that. IWA Pro Wrestling is a family fun, action packed live show with grand entrances, great music, colourful referees and announcers. The show includes heavyweight matches, tag teams and daredevils. IWA Pro Wrestling plots comical, often very funny storylines that are relevant to Australian audiences. Wrestlers are well-defined and easy to follow characters, making it enjoyable for audience members to pick and choose favourites and easy to identify the baddies. It really is an amazing experience that must be seen live. 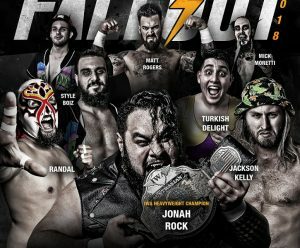 You will get the chance to see for yourself when Wests Leagues Club hosts an International Wrestling Australia Pro Wrestling show on Friday, October 26. “Perhaps the biggest difference between pro-wrestling and ‘real’ sport is that pro-wrestling openly admits to glorifying characters and embellishing storylines,’’ says promoter and wrestler Mark Mercedes, a 25 year pro wrestling veteran who has wrestled for WCW in the USA and major companies in Japan and Europe. “We offer a fantastic live action adventure show for all ages. 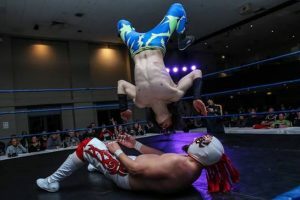 “International Wrestling Australia is dishing out more fun, more action and more excitement than has ever been seen in the Australian pro-wrestling circuit over more than 100 years,’’ he said. At this IWA Pro Wrestling show you can expect to see a good mix of about 6-10 wrestlers, from small masked high flyers to giant super-heavyweights. There are women wrestlers, valet girls, tag teams and their managers – and even the occasional midget match. “It’s a different routine at every IWA Pro Wrestling show, new bouts, new plots, new gimmicks and new talent,’’ Mercedes said. “There is always a lot of posing going on, lots of body oil and lycra to be seen. “The whole performance is audience interactive, so the whole family can get involved.